Best Easter Gift Ideas for Kids, Teens and Adults! My Top Favorite Best Easter Gift Ideas for Kids, Teens and Adults! The Easter bunny is almost here and I hear you are looking for the best Easter gift ideas around for your family? I think one of the best Easter gifts for kids (and adults! )are stuffed bunnies and lots and lots of chocolate!! *Yes, this is a gigantic stuffed Easter bunny for sale! He will look awesome in the bedroom! Magically, the next day I would have my bunny nest filled with chocolate eggs! Call me old-fashioned but I still believe in giving kids a cute stuffed Easter bunny and chocolate eggs! What are your favorite kids Easter gifts? I created a fun Easter gift idea ‘list’ if you will, displaying some of my favorite Easter gifts for everyone! I hope you will find it helpful! 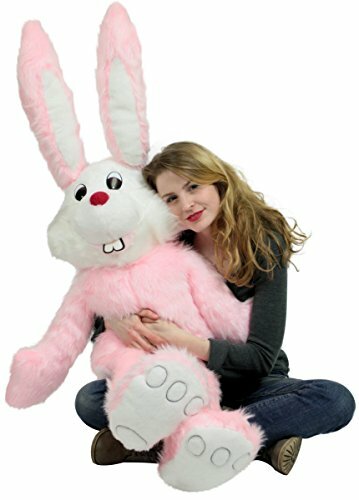 How about a very Cute Giant Stuffed Pink Bunny? Awesome Easter Gift Idea for Teen Girls! 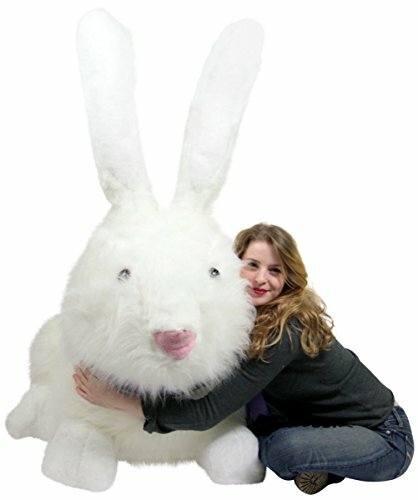 I gotta tell you, I have a ‘thing’ for giant stuffed bunnies! Great Easter Gift Idea for Kids! Perfect to decorate the office too during Easter! Needless to say kids love him! Cute Easter Gift Idea for Toddler Girls! If you have a toddler girl and want to buy her something cute and special for Easter, how about this adorable plush bunny rocker? 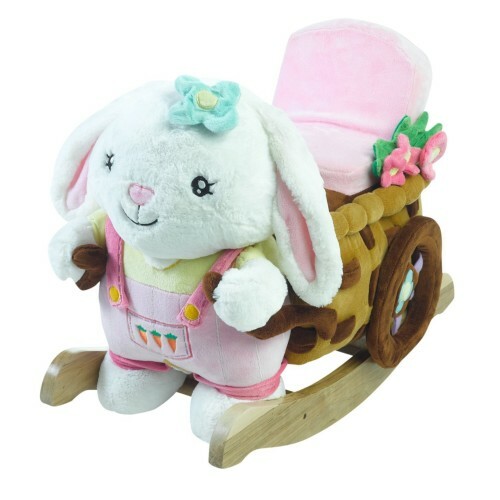 I bet you can already see her having a blast rocking back and forth on her white bunny rocker! What a Cute Easter Gift for Girls! One of my favorite plush Easter bunnies ever is this gorgeous and ultra-colorful rainbow bunny!! 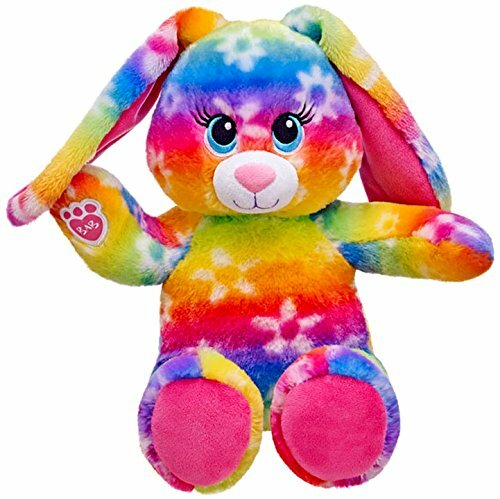 I am crazy about colors and when I saw this rainbow stuffed bunny I went absolutely nuts!! Great addition to their collection for sure! 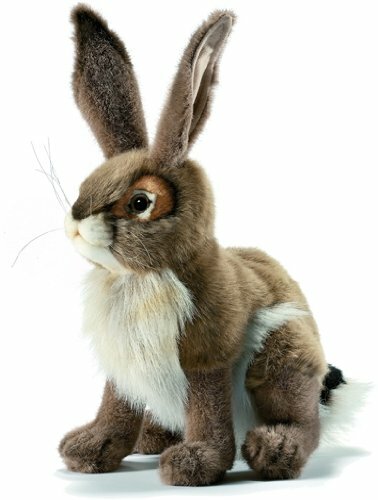 Beautiful Chocolate Brown Stuffed Bunny! Stuffed Bunnies make the Best Easter Gifts! 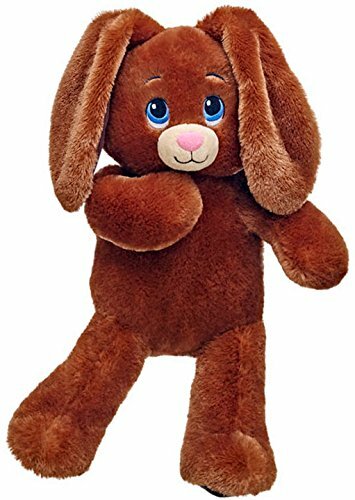 This is a lovely chocolate brown plush bunny that will be perfect to pair up with some delicious real chocolate bunnies! 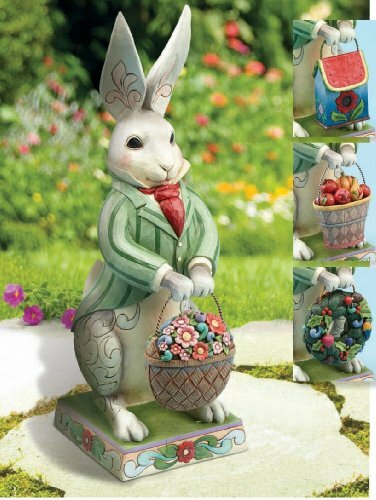 How about a Cute Bunny Statue? What a great Easter Gift Idea for Adults! 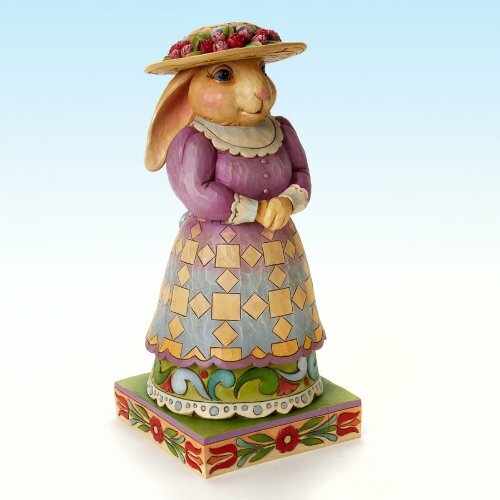 If you are looking for a fun and creative Easter gift idea for your mom, girlfriend or any other lovely lady in the family, how about a cute bunny statue? Beautiful Easter Gift Idea for Moms and Grandmothers! I love her cute dress and her cute hat! This lady bunny really cares about her fashion! Fun Easter Gift Idea for Women! Will definitely stand out on the neck! 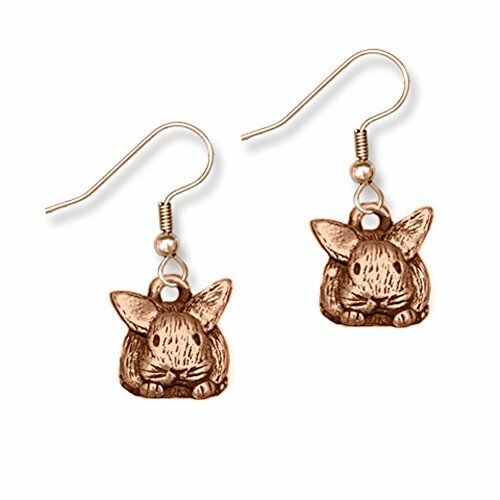 How about a pair of cute bronze bunny earrings? 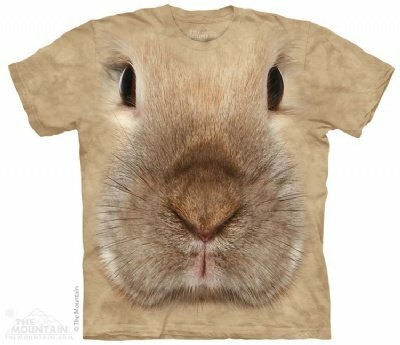 How about a Bunny Face T-shirt? Cool Easter Gift Idea for Boys! 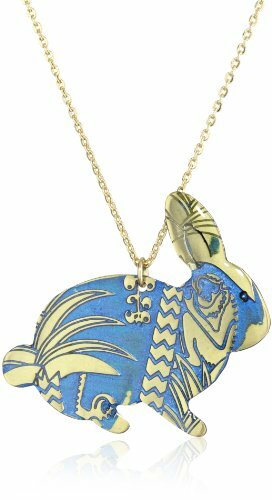 Perfect to wear all the time around Easter time! Everyone will wish they also had a cool bunny face t-shirt! *Make sure you pick the correct size. 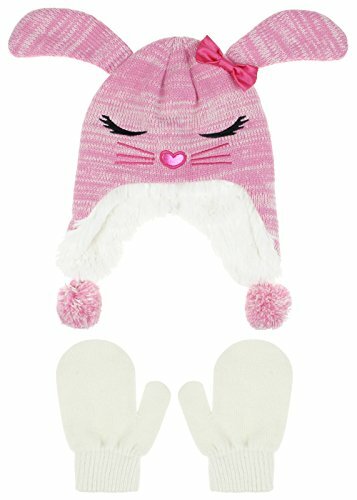 Cute Pink Bunny Hat for Toddler Girls! How beyond adorable is this pink sleeping bunny hat for your little bunny lover toddler girl? I love the bunny ears and the cute pink satin bow accent! Funny BUNNY RABBIT Wool Hat for Adults! 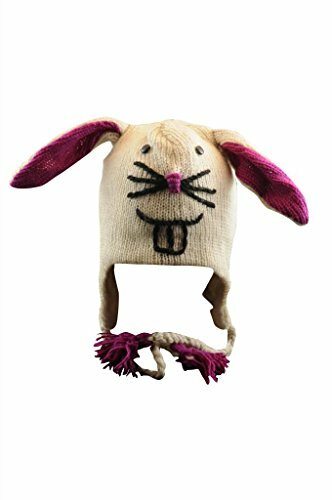 And if you are looking for a fun Easter gift idea for adults, how about a funny but very cool and creative bunny fleece hat? Best Easter Gift Idea for Chocolate Lovers? A Giant Chocolate Easter Bunny! And last, but not least, if you are looking for the best Easter gift idea for a chocolate lover in the family, look no more! 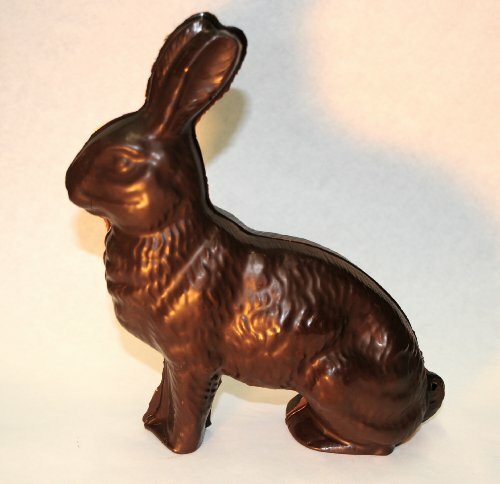 A delicious, creamy, all-natural vegan chocolate bunny! My Favorite Giant Stuffed Animals!